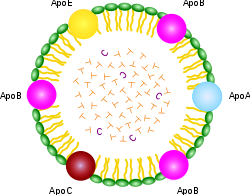 Homozygous familial hypercholesterolaemia is a rare genetic disorder in which both LDL-receptor alleles are defective, resulting in very high concentrations of LDL cholesterol in plasma and premature coronary artery disease. This study investigated the use of an antisense inhibitor of apolipoprotein B synthesis, mipomersen, to lower LDL cholesterol. Patients aged 12 years and older who were already receiving the maximum tolerated dose of a lipid-lowering drug, were randomly assigned to mipomersen 200 mg subcutaneously every week or placebo for 26 weeks. 34 patients were assigned to mipomersen and 17 to placebo. Mean concentrations of LDL cholesterol at baseline were 11·4 mmol/L in the mipomersen group and 10·4 mmol/L in the placebo group. The mean percentage change in LDL cholesterol concentration was significantly greater with mipomersen (−24·7%) than with placebo (−3·3%). The most common adverse events were injection-site reactions in 76% of patients in mipomersen group vs 24% in placebo group. 12% of patients in the mipomersen group had increases in alanine aminotransferase of three times or more the upper limit of normal. Inhibition of apolipoprotein B synthesis by mipomersen represents a novel, effective therapy to reduce LDL cholesterol concentrations in patients with homozygous familial hypercholesterolaemia who are already receiving lipid-lowering drugs, including high-dose statins. Mipomersen, an apolipoprotein B synthesis inhibitor, for lowering of LDL cholesterol concentrations in patients with homozygous familial hypercholesterolaemia: a randomised, double-blind, placebo-controlled trial. The Lancet, Volume 375, Issue 9719, Pages 998 - 1006, 20 March 2010. Lipoprotein structure (chylomicron) (left). Image source: Wikipedia, GNU Free Documentation License.